Before a toy goes into full production manufacturers will often produce a short run of test shots. These are used for product testing, sales samples, and sometimes for catalog photos. 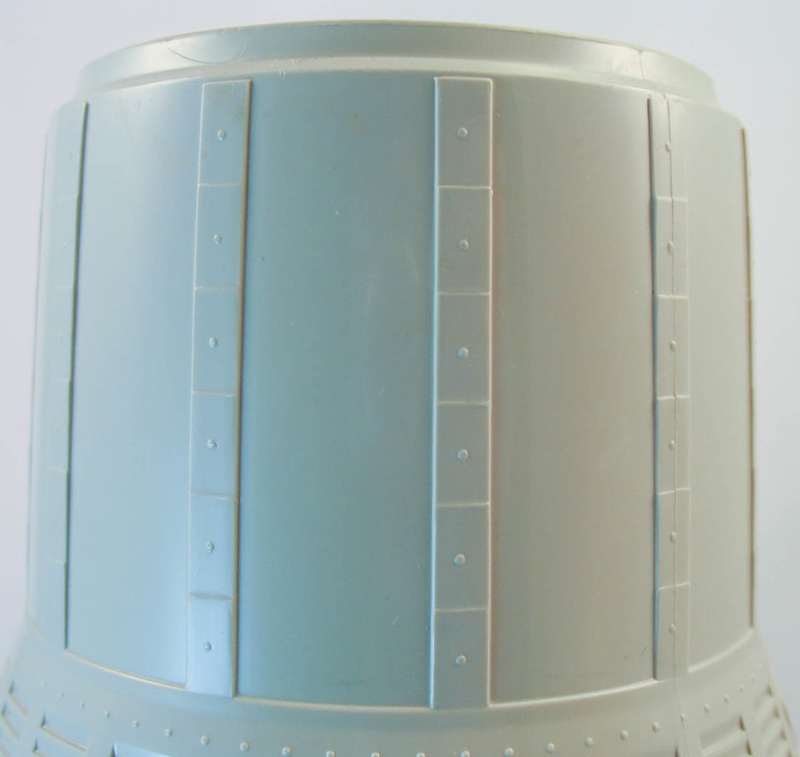 Likely a test shot of the popular GI Joe space capsule, the example shown here is one of two to show up recently. There are many intriguing differences between this example and the standard production piece that are explored below. The example shown is in rough condition, but is still a fascinating rarity. 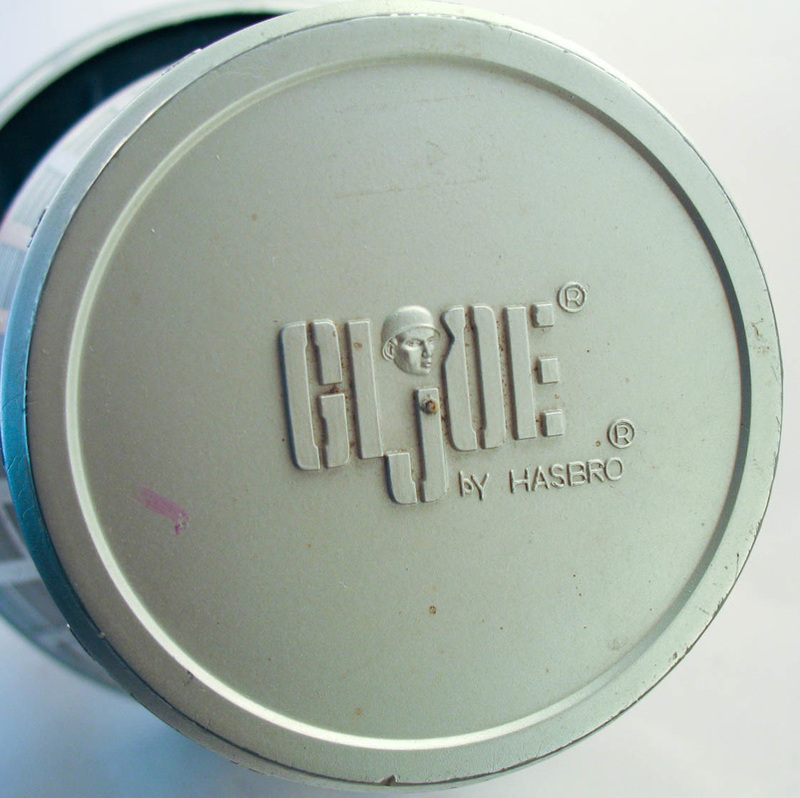 It is a bit lighter in weight than the standard release, and may be made of a thinner plastic. 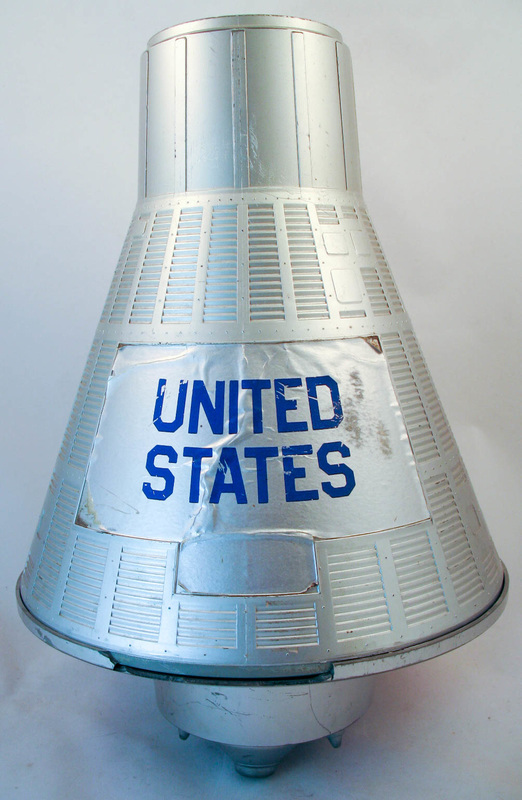 Above, the most immediate difference is the painted silver finish and the sticker without the US flag. 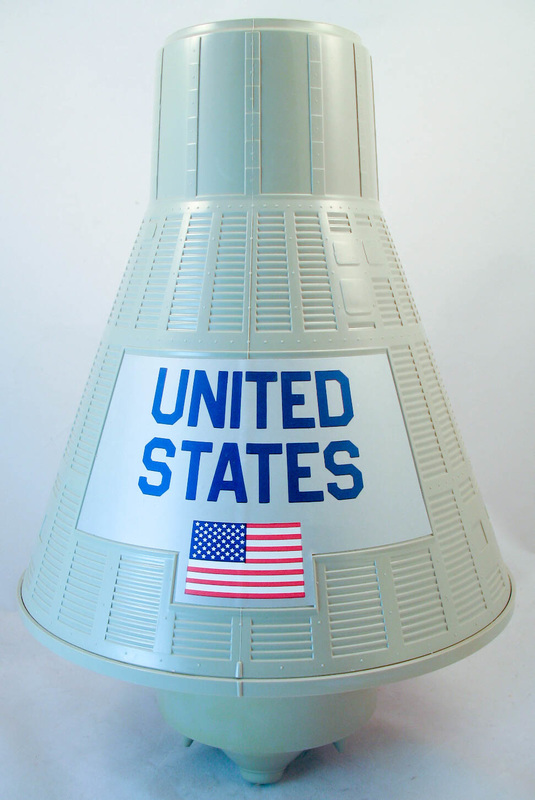 This is more true to the actual mercury capsules. 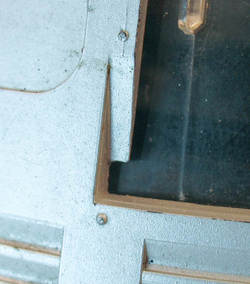 Below left, a close up showing a bit of the interior pulled down. 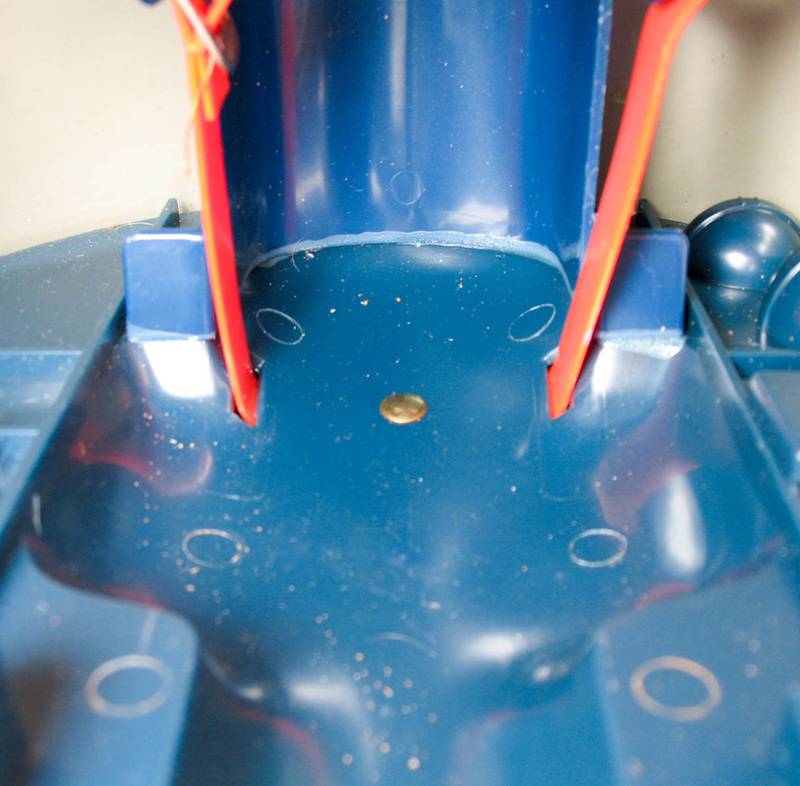 Note that it is molded in a bright blue and painted navy over that. Below right, a detail of the lower left of the door area. It has a unusual angled slot. My guess would be that this accommodated a closure for earlier version of the clear door that was abandoned before the test shot was made. Another clear difference from production is the belting. as shown above. 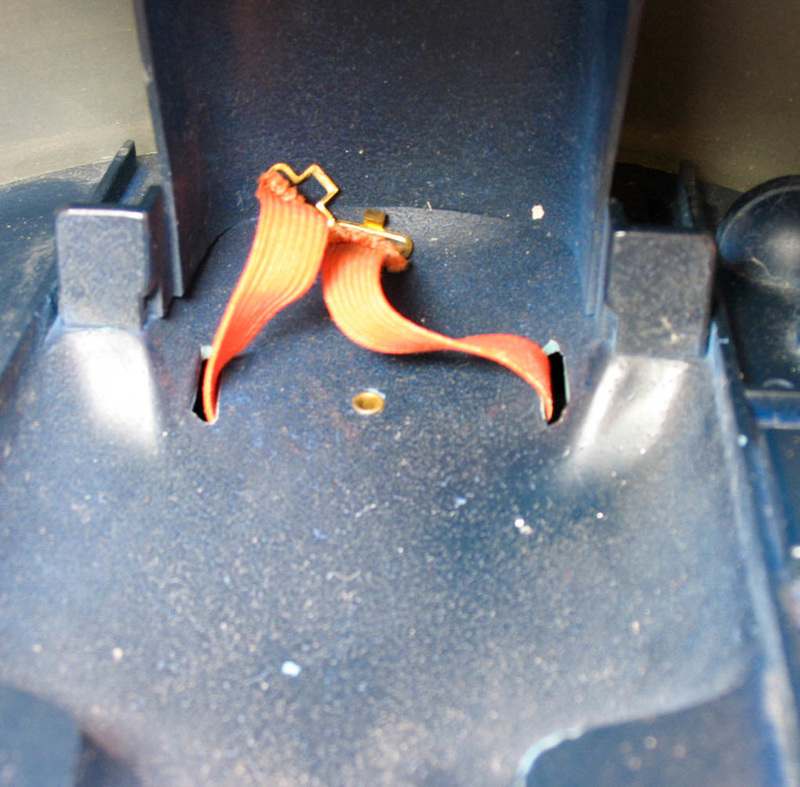 The seat has cut outs where shoulder straps could have been inserted and at the edges of the seat arms for a lap belt. 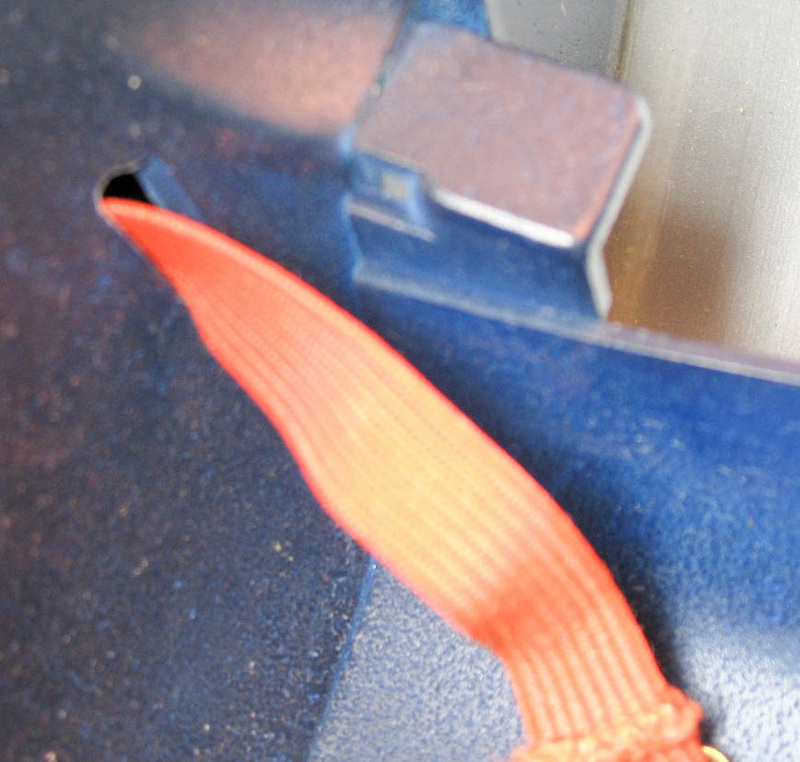 This design was apparently abandoned in favor of a simple waist belt, though with the test shot this is of orange elastic rather than the plastic of production. 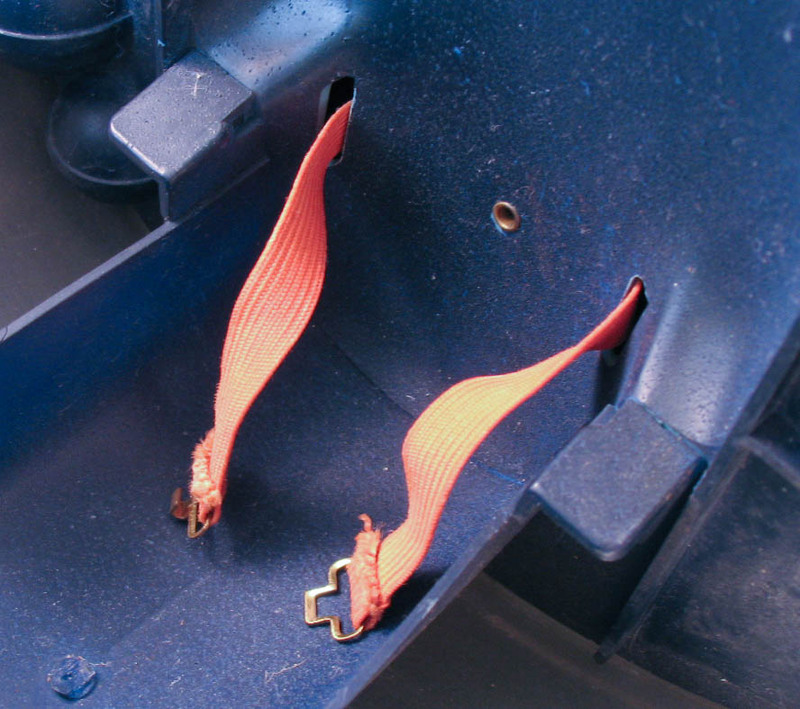 It is also attached with an open rather than closed rivet. 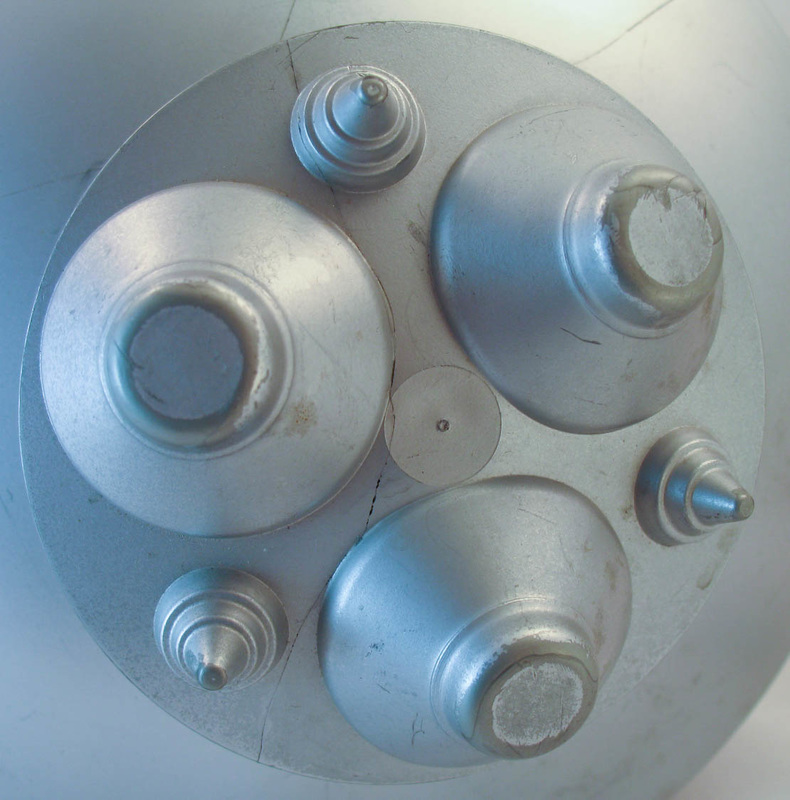 Above, the nose of the test shot (left) and production version (right). Note the added copyright information. 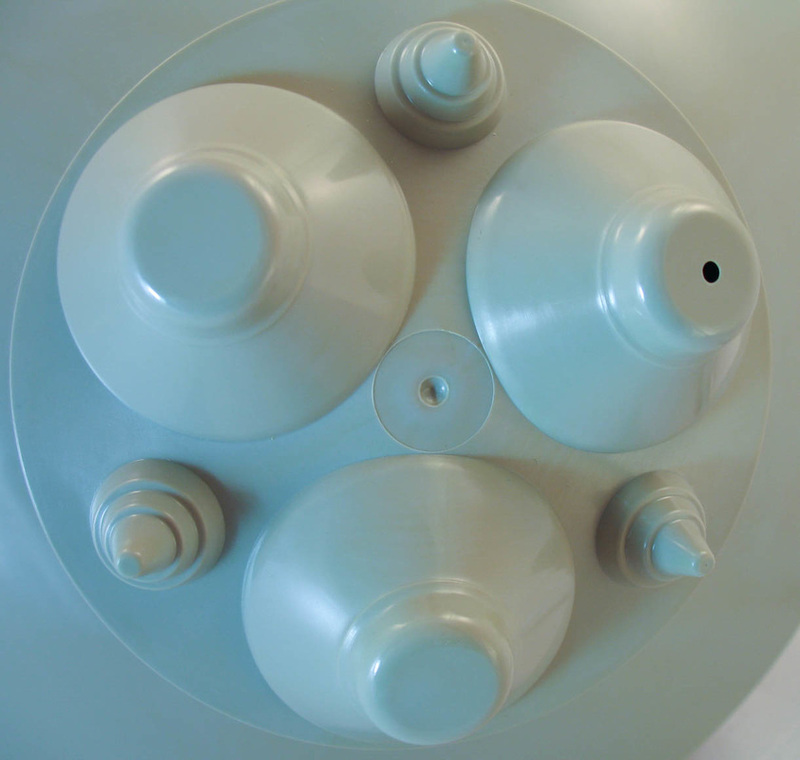 Below, the retro rockets of the test shot luck the molded hole of the production capsule. This hole may have been added to help drain water from the capsule when kids were playing splash down in the tub or pool. 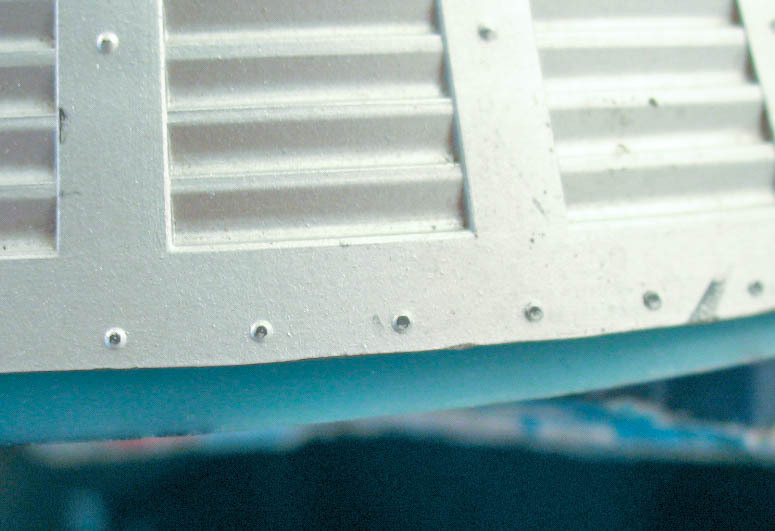 Above, the nose of the test shot lacks the molded rivet detail of the production version. 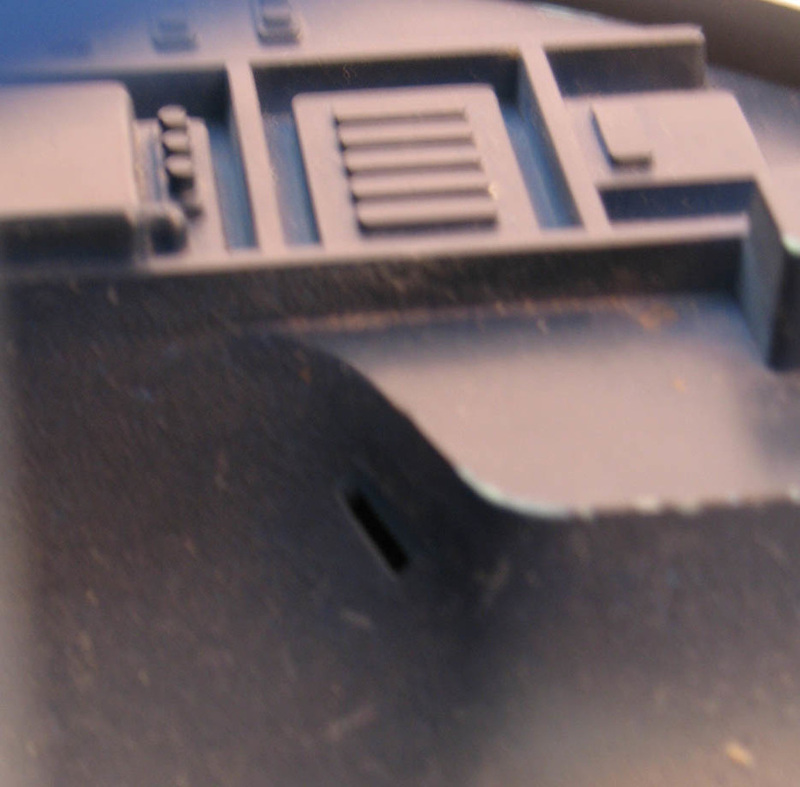 Below, the seat of the test shot has a very rough surface, as if the mold was made directly from a carved foam material. 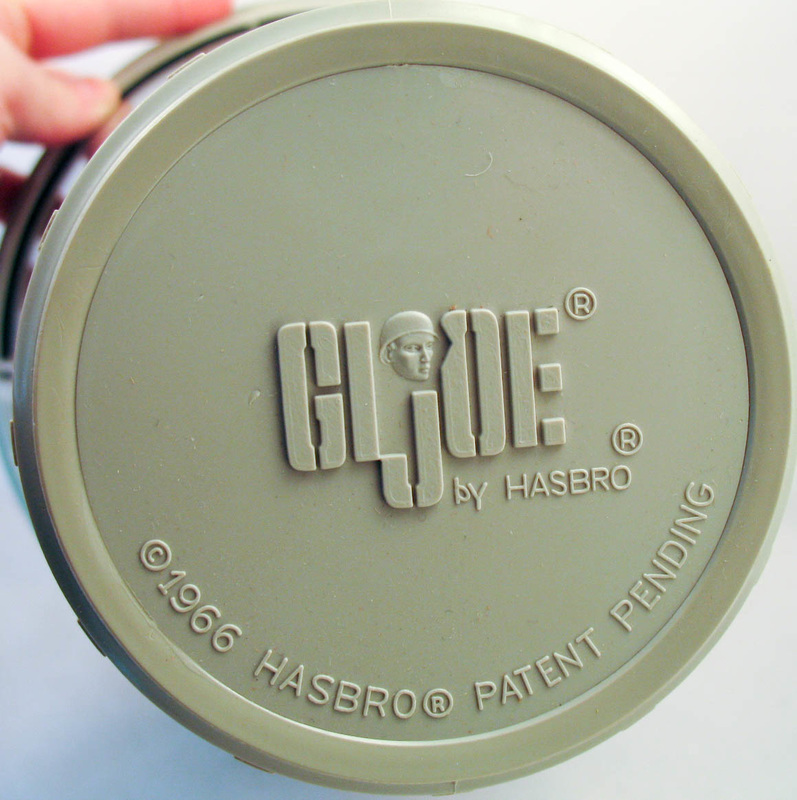 Compare to to the smooth molding of the production version. 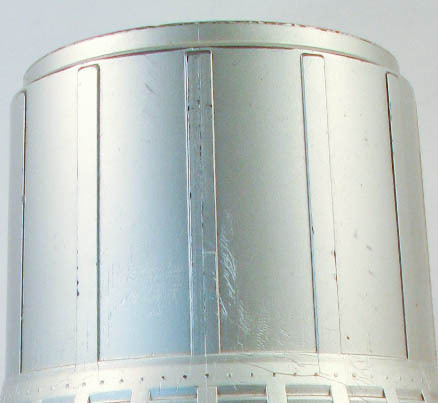 Below, a scan from the 1966 Hasbro sales catalog showing one of these silver painted test shots. ​Note the great prototype art on the box at the bottom of the ad.